There are about 100 billion neurons within the nervous system ; the neuron is the basic working unit of the human brain. Just imagine that! All these little neurons (cells within the nervous system) communicate with one another to transmit information through a complex web to other cells. 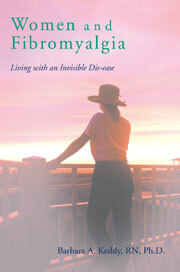 The chronic pain that we fibromyalgia sufferers deal with on a daily basis is produced by our brain from these neurons. Ah, but we can control this pain, if we remember control rather than eliminate! So, what have researchers found about how this can be done? What can we do to take charge of these neurons that seem to be in a constant state of firing off messages of pain? There are, in fact, several strategies that seem promising, but only one will be discussed here, as its relationship to Mindfulness Meditation is another which I have discussed in depth over the years. In my view the two are closely related. A popular approach to pain management is a form of therapy called ‘Acceptance and Commitment’. Primarily this means an acceptance that one does have pain, it is chronic, and yet to go on to engage in those things in life that gives one pleasure. In short, it is a commitment to pleasurable activities by not engaging in negative thoughts about the pain, what caused it, and all memories of the past experiences of this pain. This kind of therapy, in my view, can be as effective through Mindful Meditation. It is possible to change the brain through discipline and consistent letting go of the thoughts that reinforce the feelings associated with the pain. The brain, after all, is plastic (“neuroplasticity”, which I have discussed so often in other blogs) and can change. That doesn’t mean the pain will go away, but rather it is an acceptance of it and a commitment to live life to the fullest by exploring the thoughts that arise in relation to the feelings and a willingness to accept what it is (again my favourite quote : “it is what it is”). An example that I use while meditating is this- I tell it I haven’t the time to think about it right now. I say ” I will make an appointment with you (the pain) later on, but for now I am letting you go from my thoughts”. It may sound hokey but it does work. I wish I could say that I am always successful with this strategy, but of course it doesn’t mean the pain has disappeared. Rather, it helps me to live life as fully as I can accepting my dis-abilities, rather than giving in to hopelessness. It is giving those little neurons a message to take to the brain that is less anxiety provoking. This entry was posted in acceptance and commitment psychotherapy, Dr. Daniel G. Amen, Dr. Jon Kabat Zinn, Fibromyalgia, kirkstrosahl, mindfulness meditation, neurons, neuroplasticity on April 20, 2015 by Barbara Keddy.